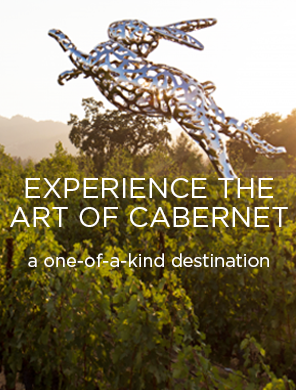 Join us for an unparalleled opportunity to experience the quality and diversity of Napa Valley’s distinct appellations. This one-of-a-kind wine tasting of our most limited-production wines showcases the impact of terroir, climate, and elevation. Everything other than the appellation is constant – the vintage, winemaking team, winemaking approach, technology in the vineyard and cellar. This intimate tour discusses the vineyards and production process while guests get a peek at the renowned 100-point Sacrashe vineyard. All wines are carefully paired with small bites from acclaimed local chefs. Pairings to include but not limited to; local cheeses, craft salumi, and seasonal tastes. With a portfolio of outstanding wines from thirteen of the sixteen Napa Valley appellations, HALL is uniquely positioned to offer this experience to guests ranging from novice wine drinkers to experts and critics. The 90-min experience is $125pp / $100 for Club Members/GEMS. This experience often sells out on the weekends. To reserve, please call (707) 967-2626 or email lgarrow@hallwines.com. In addition to the Appellation Exploration experience at Rutherford, guests can also inquire about our Platinum Tasting. This premier tasting features our exclusive Platinum Collection wines, including our 100 point Rainin Vineyard Cabernet Sauvignon. The tasting is only available as the wine permits and has very limited availability. The tasting is $250 per person and by appointment only. To inquire, please call (707) 967-2626 or email lgarrow@hallwines.com.